Hudson's Bay has a great one-day deal today! Get up to 75% off luggage sets from Samonsite, Swiss Wenger, Delsey and more! 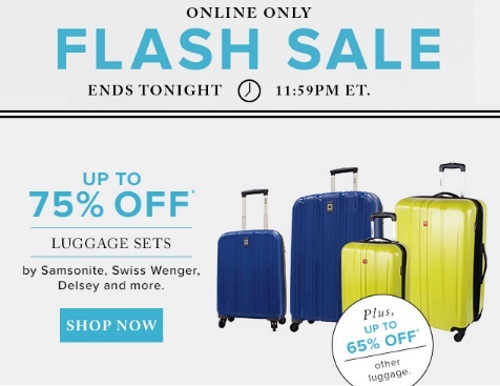 Plus save up to 65% off other luggage. Offer is valid today only, Wednesday January 4, 2017 online only.